BARCELONA, Spain (Cisco Networkers 2009) - January 27, 2009 - Cisco today announced that it is working with service providers to realize the Cisco® Data Center 3.0 vision and help develop next-generation virtualized data centers achieve greater operational and energy efficiency. Terremark, Stratascale and The Planet are deploying new Cisco Data Center 3.0 technologies, including the Cisco Nexus 5000 and 7000 Series Switches, to deliver leading-edge data center managed services to customers. Terremark, StrataScale, The Planet, and other service providers have selected the Cisco Nexus 5000 and 7000 platforms to deliver high-performing, highly secure, flexible and resilient data center managed services to enterprise customers. New services include cloud computing, virtualization, managed hosted and self-directed server support, co-location, and networked data center infrastructure for the on-demand enterprise. The Cisco Nexus 7000 Series offers modular switches with zero service loss architecture, and meets Gigabit Ethernet and 10 Gigabit Ethernet needs as well as future unified fabric requirements. The Cisco Nexus 5000 Series is a rack switch delivering high-performance, low-latency 10 Gigabit Ethernet, Data Center Ethernet (DCE), and Fibre Channel over Ethernet (FCoE). Introduced today are the Cisco Nexus 7018, Cisco Nexus 5010, and Cisco Nexus 2000 Series Fabric Extender, joining the Nexus Family of switches specifically designed for the stringent requirements of next-generation data centers. 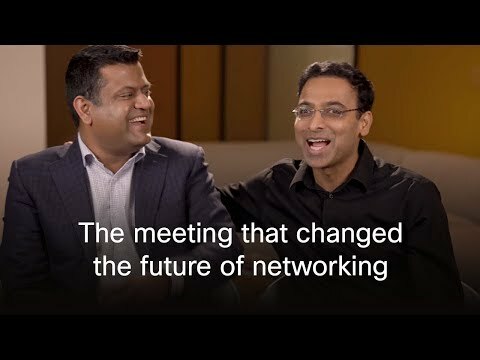 Cisco Nexus technology helps customers to scale cost-effectively while improving energy and resource efficiency, and supports the transition to 10 Gigabit Ethernet and a unified fabric. Comprising the broadest set of networking data center solutions in the industry, Cisco's Data Center 3.0 architecture provides a framework for reliable, highly secure, responsive and green data centers. Terremark Worldwide, Inc. (NASDAQ:TMRK), is a leading global provider of IT infrastructure services. Terremark has selected the Cisco Nexus 5000 and 7000 platforms to support Terremark's managed hosting and co-location services, and the Internet exchange point application. In the future, Nexus will help support additional services, such as the Enterprise Cloud. Terremark's Enterprise Cloud is powered by an enhanced version of Terremark's industry-leading InfinistructureTM computing platform and leverages the company's top-tier data centers and access to massive and diverse network connectivity. At the center of the Enterprise Cloud is an easy-to-use Web application that allows customers to dynamically provision servers from a pre-allocated pool of dedicated computing resources. "The Cisco Nexus 5000 and 7000 serve as part of the architecture of Terremark's data centermanaged services portfolio, and will help us reduce costs while providing customers greaterbandwidth and services. We selected Nexus because the product is specifically designed to meet the requirements of data centers, scales to industry-leading 15 terabits per second, delivers significant performance and density for continuous system operations, and will support emerging protocols to prepare for migration to a unified fabric in the data center. We've also been beta testing Cisco's newly announced 48-port blade for the Nexus 7000, which we are evaluating for deployment to support our Internet exchange point application." StrataScale, Inc. is a wholly owned subsidiary of RagingWire Enterprise Solutions, Inc. StrataScale recently launched IronScaleSM, a fully automated managed hosting service that allows customers to provision and repurpose resources such as dedicated servers, network services, and storage on-demand in real-time. For the network infrastructure that underpins IronScale, StrataScale selected the Cisco Nexus 7000. Because system availability is critical to service providers, and IronScale features a 100 percent uptime service-level agreement, the high-availability characteristics of the Cisco Nexus 7000 are especially valuable. "We chose the Cisco Nexus 7000 to anchor the network core for our IronScale automated managed hosting solution. With requirements to support bandwidth-intensive applications across a multi-10 Gigabit Ethernet network core, we found the Cisco Nexus 7000 would meet client demands and provide scalability for the future. The Cisco Nexus 7000 delivers unparalleled 10Gigabit Ethernet port density, reliability, and performance that enable our IronScale environment to stay on the cutting edge." Denoid Tucker, senior director of engineering, StrataScale, Inc. The Planet is a worldwide leader in IT hosting with 25,000 customers and hosting more than 14.5 million Web sites. The company has selected the Cisco Nexus 5000 for its existing data centers and plans to adopt the technology for its new environmentally friendly 86,000-square-foot data center in the Dallas suburb of Plano, Texas. The facility will accommodate expansion of the company's highly regarded co-location services, along with its popular private racks and Planet Northstar managed hosting services. The new operation - the company's seventh data center - will bring its total data center raised-floor footprint to 214,500 square feet. The new data center is scheduled to open in May 2009 and will meet the same SAS 70 Type II qualifications of the company's existing six facilities. "After reviewing technologies, we selected the Nexus 5000 for its high-performance switch fabric capabilities and its ability to provide significant capital expenditures savings. Using the Cisco Nexus 5000 as a foundation, and with Cisco's Data Center expertise, we've developed a more efficient and future-proofed 10 Gigabit Ethernet data center architecture that will serve as a model as we expand our facilities and data center managed service offerings. With the Nexus 5000, we cost-effectively upgraded to 10 Gigabit Ethernet, and decreased bandwidth cost per server by 30 percent." View: Mark Fontecchio, editor of SearchDataCenter.Com, discusses The Planet's world-class data centers featuring Jeff Lowenberg, vice president of Facilities for The Planet. SearchDataCenter.com awarded Lowenberg its Data Center Manager of the Year Award.